South Korean cooking program on JTBC. In each episode, two celebrity guests have their refrigerators brought to the filming studio. 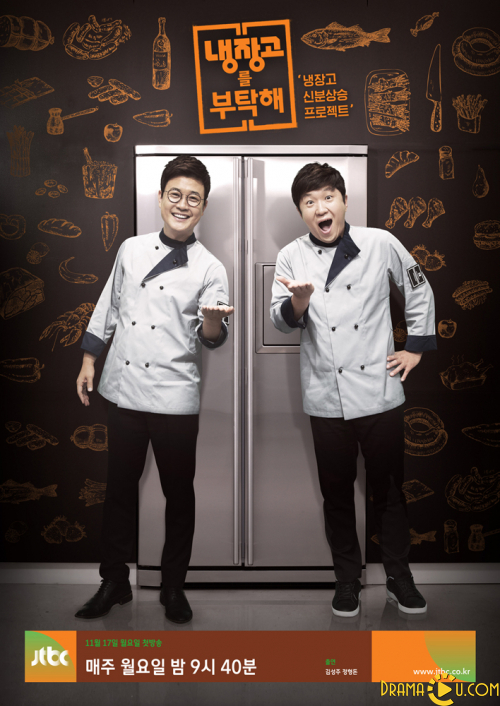 The hosts go through each refrigerator, with the hosts, chefs, and guests commenting on unusual or otherwise notable foods. Each guest has four of the eight chefs assigned to them, and each guest presents two categories of food that they would like cooked. Each of the four chefs choose the category they would like to compete in, with two chefs competing in each category. The two competing chefs have 15 minutes to cook a dish using ingredients from the guest's refrigerator.After commentary on the dishes, the guest selects the winner.